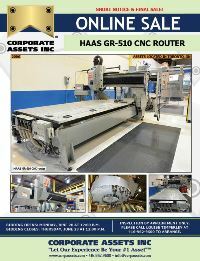 Corporate Assets Inc. | HAAS GR-510 CNC Router - Corporate Assets Inc.
All assets to be removed by Wednesday, June 29, 2016 by 5:00 P.M. 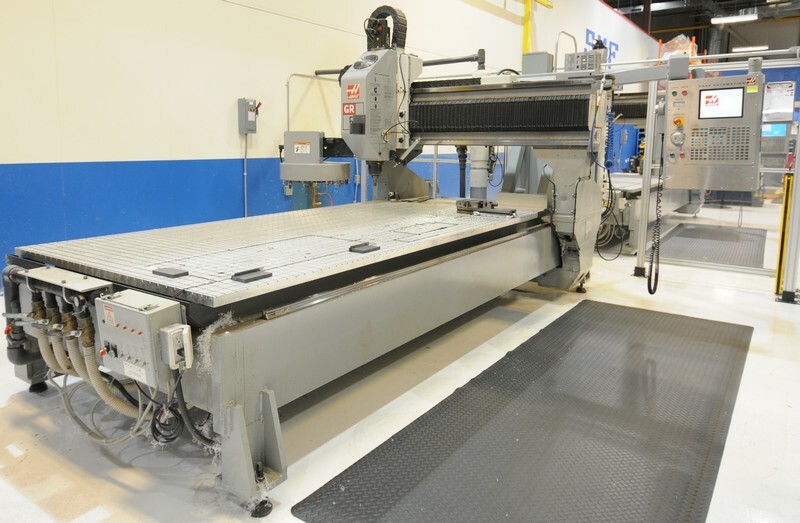 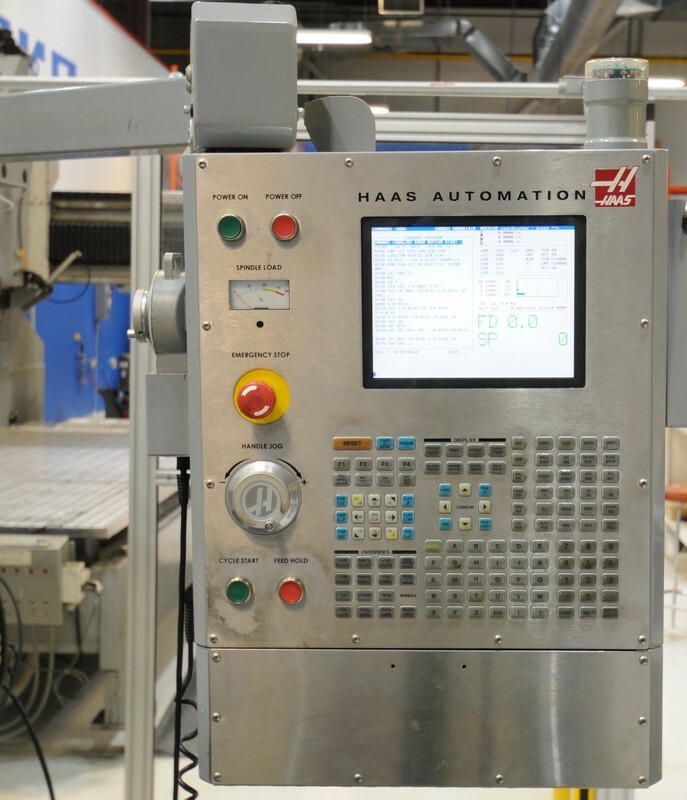 FEATURING: HAAS (2006) (VERY LOW HOURS & ONLY CUT PLASTIC AND ALUMINUM) GR-510 gantry type CNC router with HAAS CNC control, 122" X 53" aluminum table with vacuum clamping and 10 HP vacuum pump system, 62" between columns, travels X-121", Y-61", Z-11", speeds to 10,000 RPM, 15 HP, BT40 taper, 20 station ATC, RENISHAW touch probe, auto air gun etc. 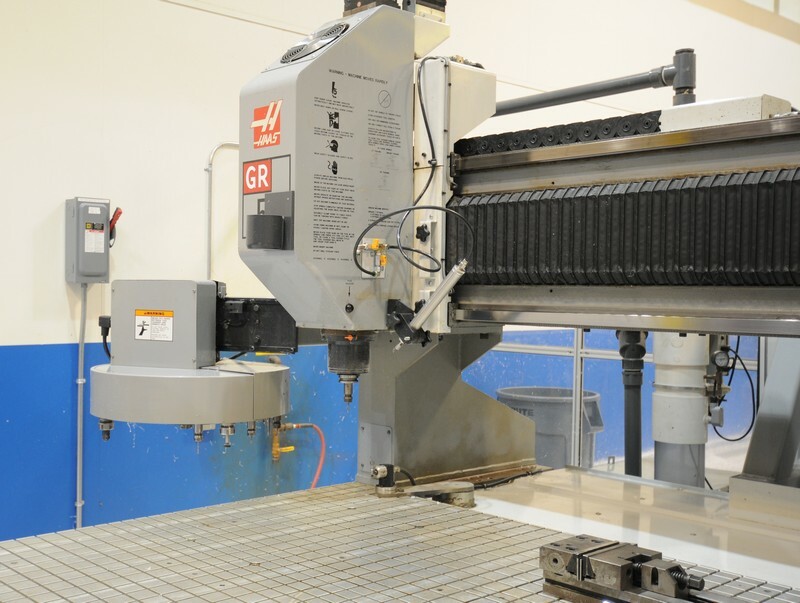 ; 1 ton free standing crane system, ANVER 1000LB sheet lifting system, precision machining vises, CAT 40 tool holders, cabinets, workbenches & MORE!